A number of Oundle Sports Clubs took part in the Interclub Trophy Match on Saturday 20th May. 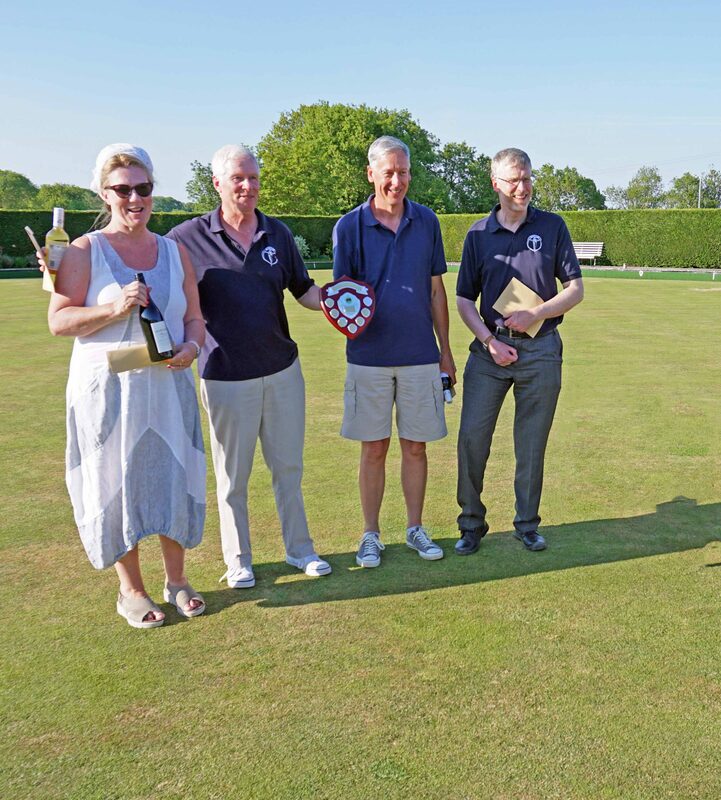 This match was the first, of what we hope will an annual competition, between teams from different local sporting clubs, which come together and compete with Oundle Bowling Club. Participating teams were :- Oundle Rowing Club, Oundle Football Club, Oundle Tennis Club, Oundle Cricket Club and Oundle Triathlon Club. The day was a great success with all who came enjoying themselves either playing or spectating on a warm sunny afternoon. Our Club Secretary Alan Holt was the instigator of this novel competition and all thanks to him for his hard work in organising the event. The winning team was from Oundle Town Rowing Club, who scooped the trophy and prizes. Second position was Oundle Football Club closely followed by Oundle Tennis Club. We look forward to next year’s match.